it starts off with this, and the more what they do is nonsensical, the bigger the thread gets. drinking games tolerated (but mind alcohol poisoning, it's the gop we're talking about). Really now, he does this every election cycle, yet never actually runs. 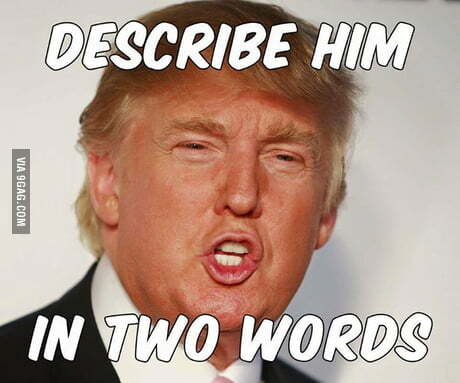 The two worst words I can use are Donald Trump. There's also the media who love him. He says all kinds of crazy stuff, he makes wonderful television.